Since its introduction in 2004, the Swift Trawler powerboat range has reinvented the concept of what the recreational trawler could be. 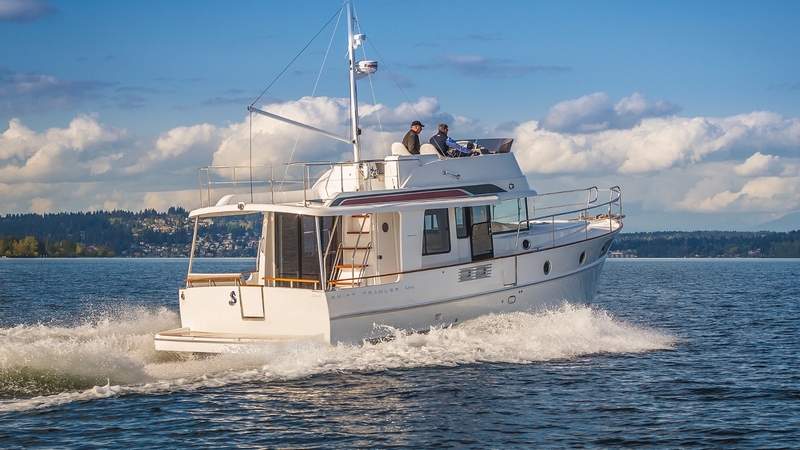 Gone is the slow, stodgy refitted fishing boat. 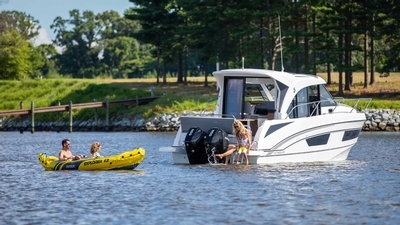 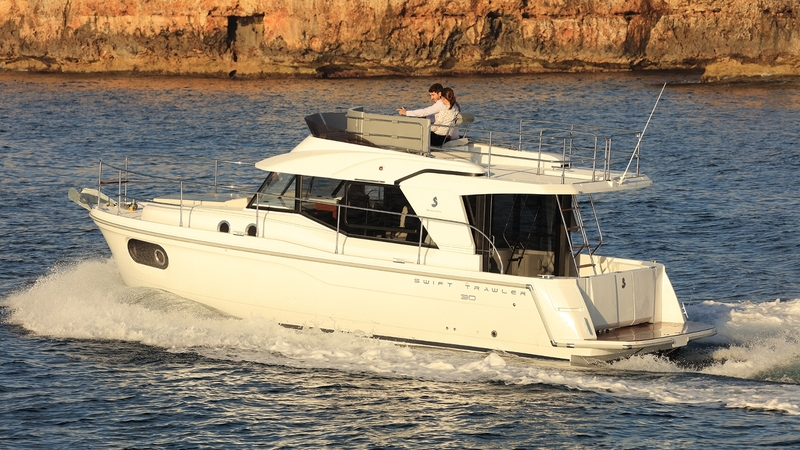 The Swift instead, opts for a nimble, yet stable hull that provides both comfort and solid, positive handling in all weather. 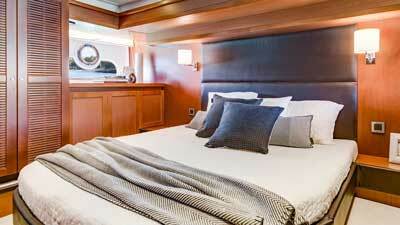 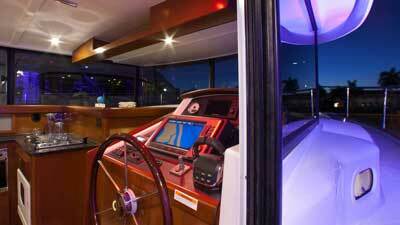 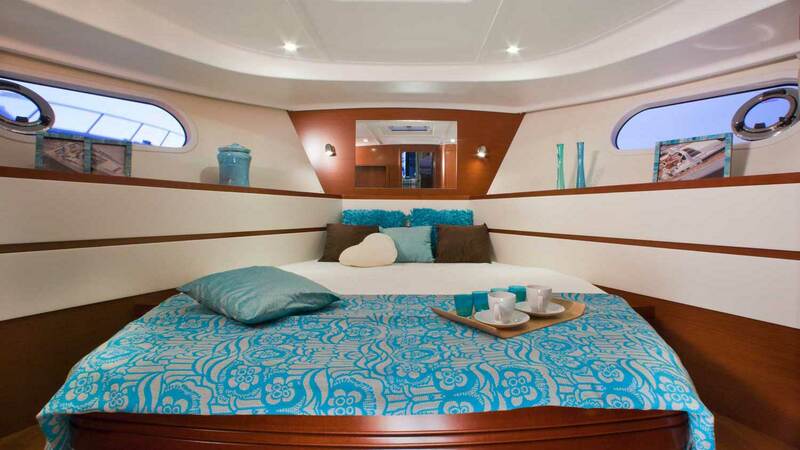 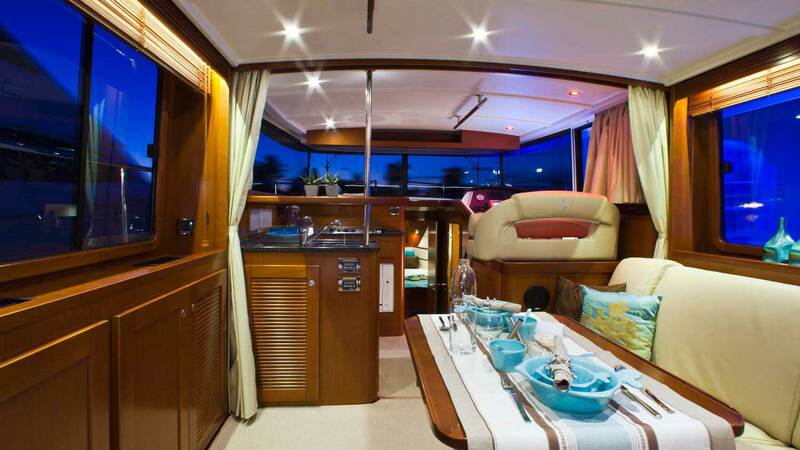 And don't be surprised to find even more room and amenities aboard than you'd find in bulkier traditional trawlers. 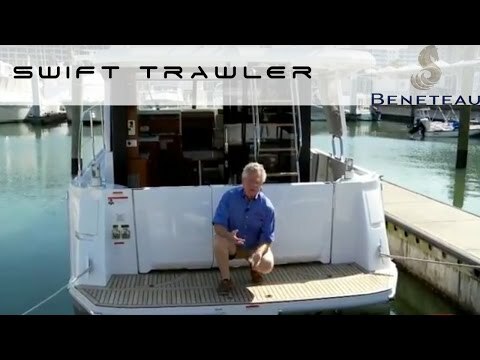 The Ultimate Expression of the Trawler. 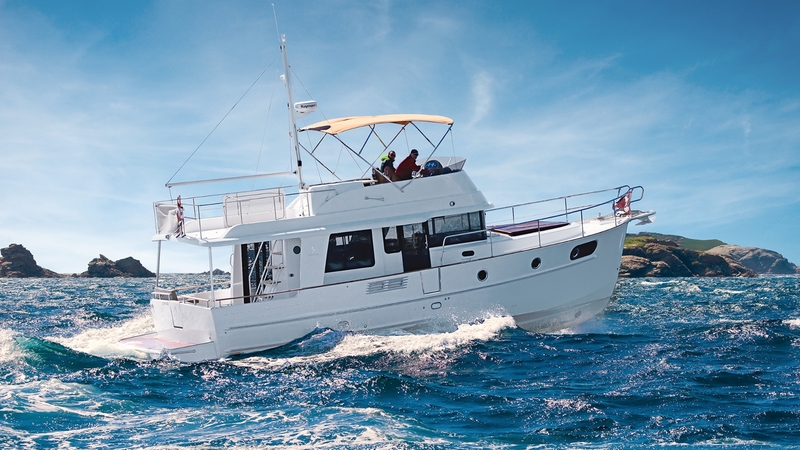 Meet the Swift Trawler 50, the Grand Dame of the Swift Trawler fleet. 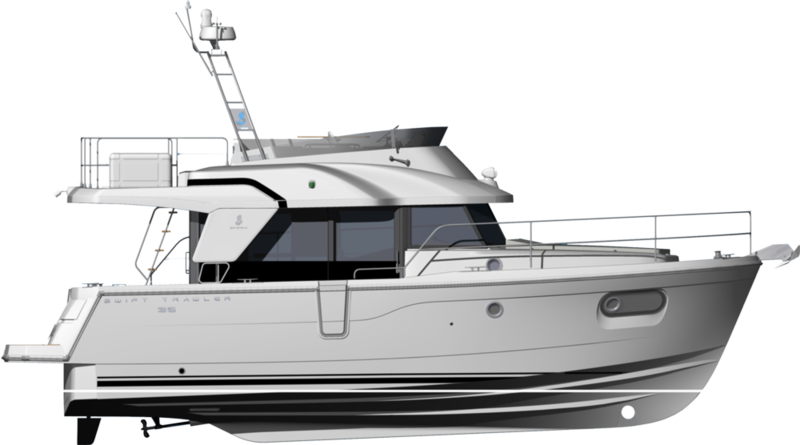 She embodies the best of our trawler revolution while remaining true to the principles of ruggedness and stability at sea. 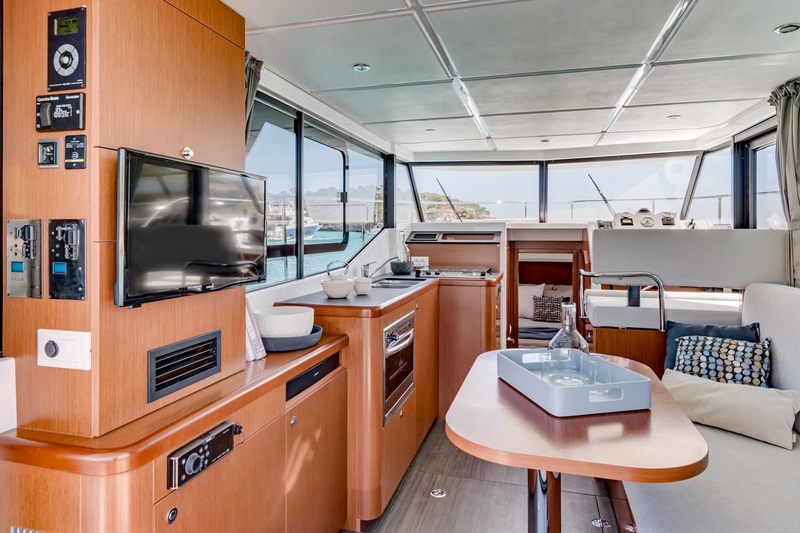 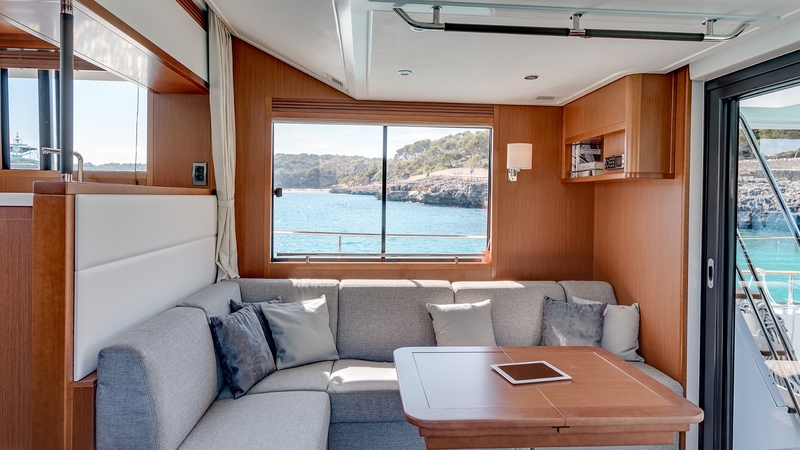 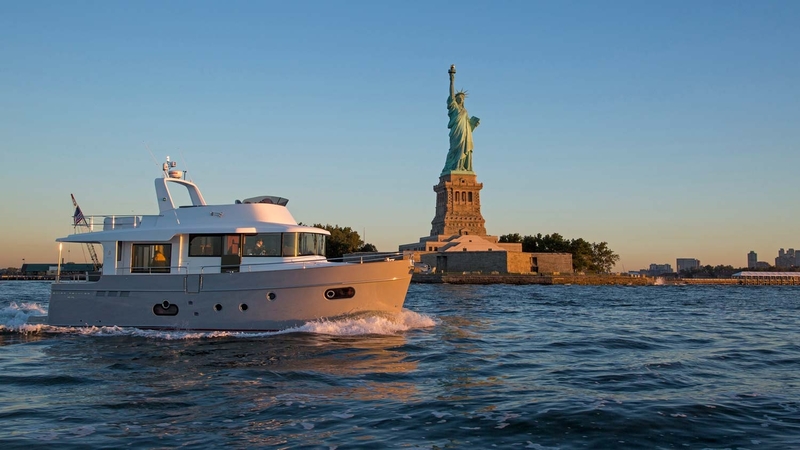 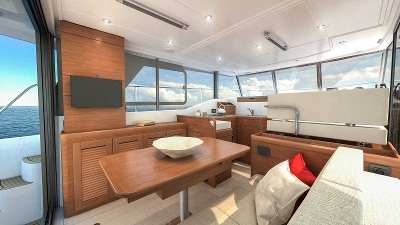 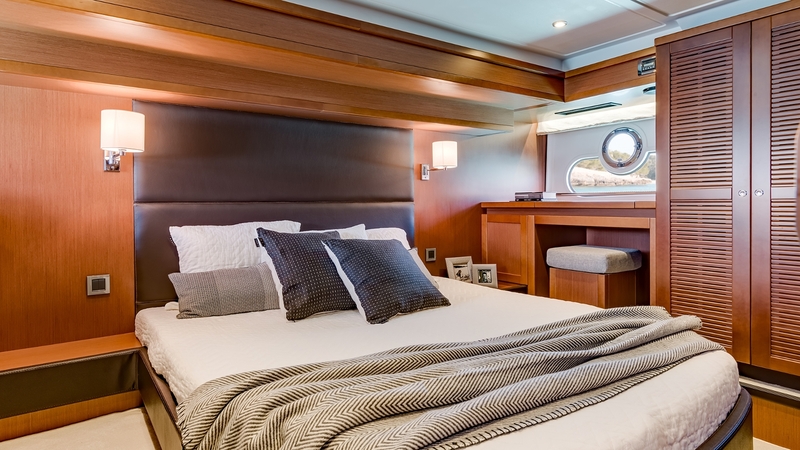 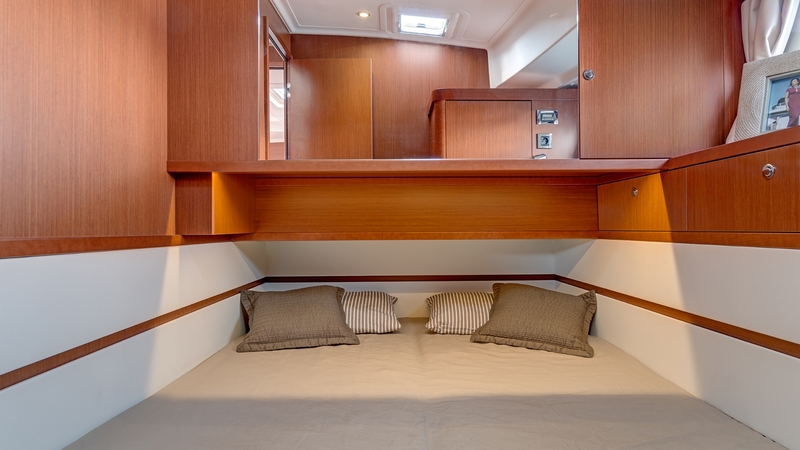 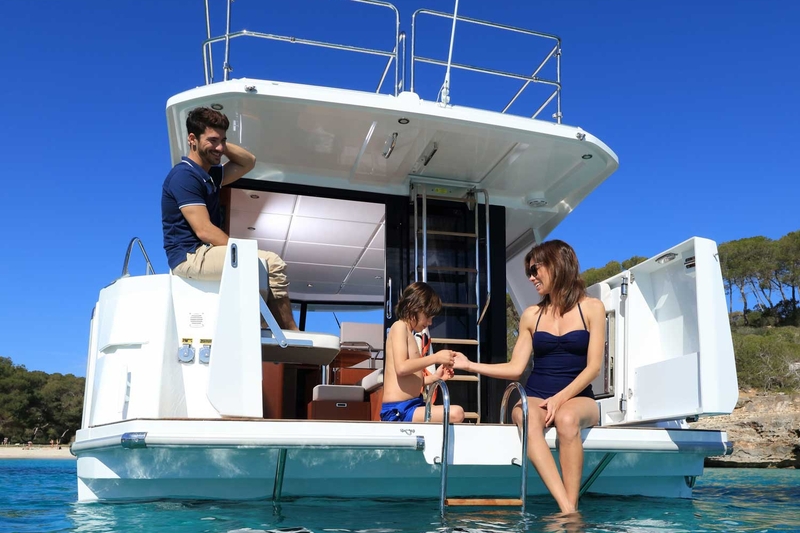 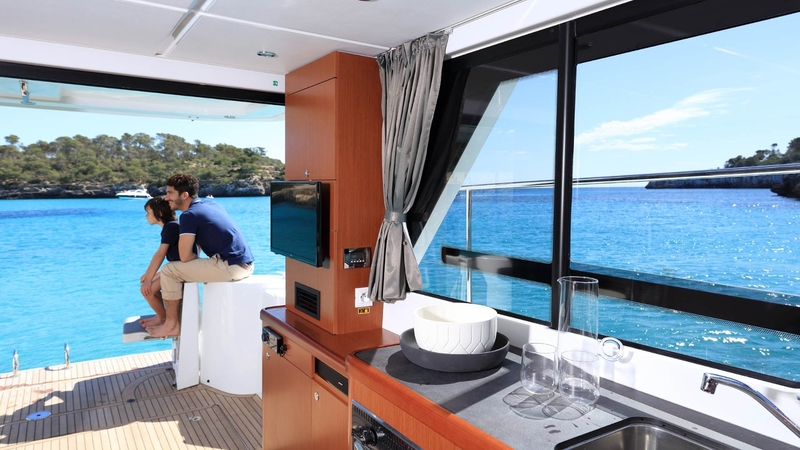 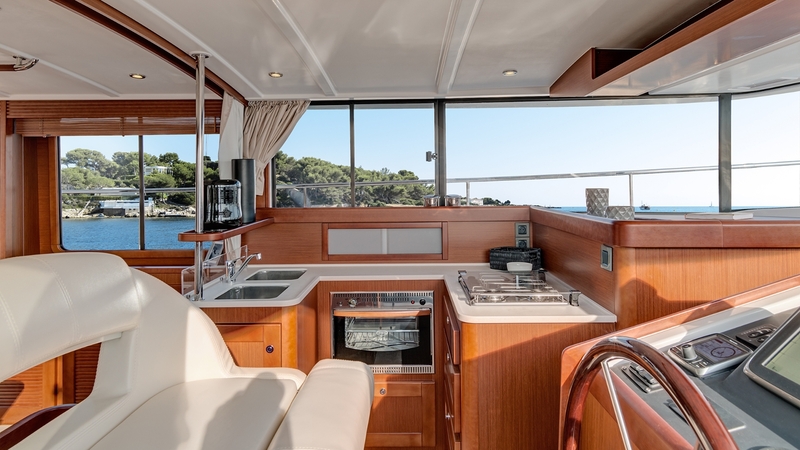 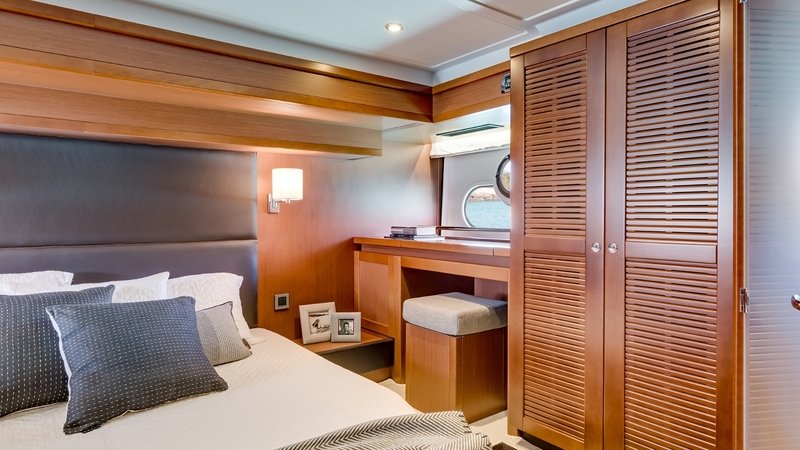 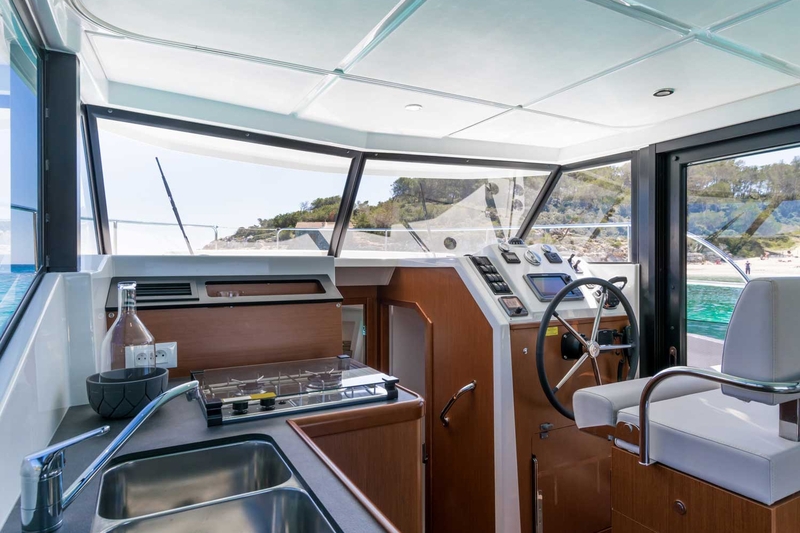 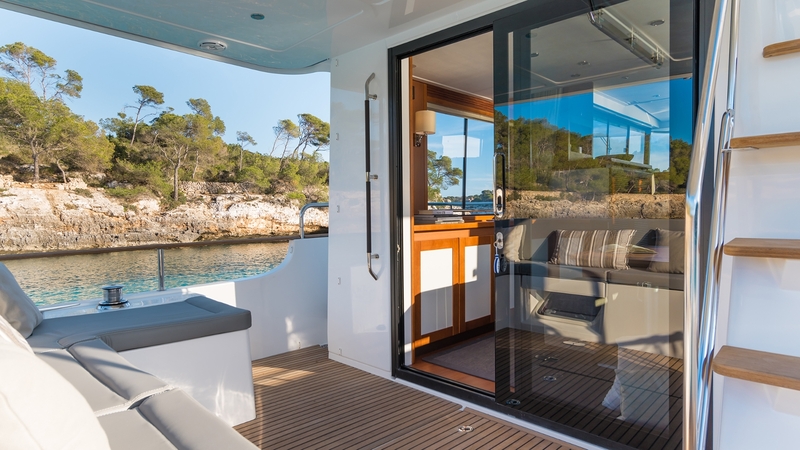 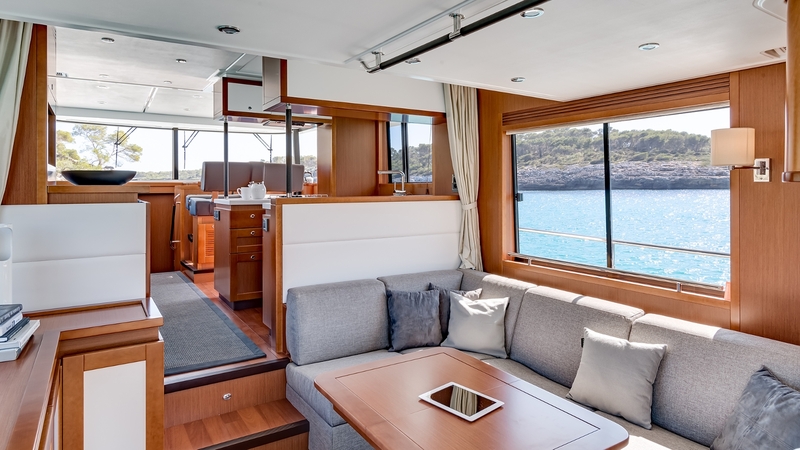 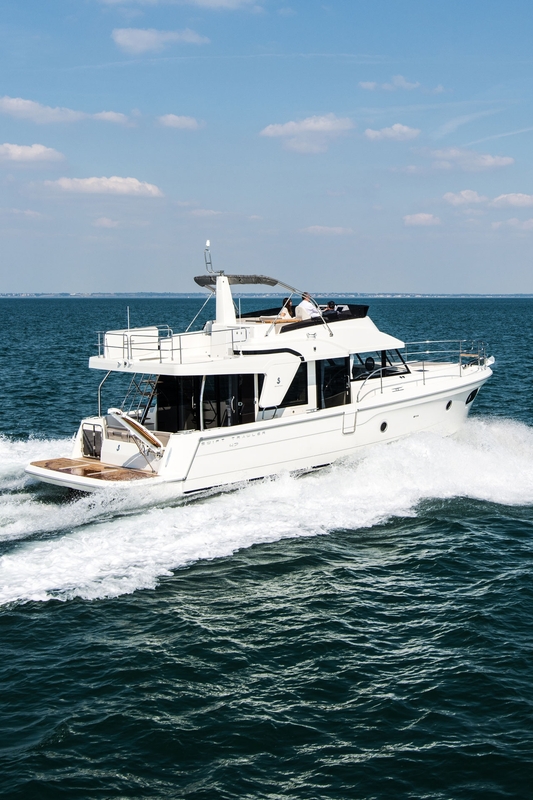 If you’re looking for a trawler with unsurpassed room, performance, and comfort, as well as Beneteau innovations and build quality, the Swift Trawler 50 checks all the boxes. 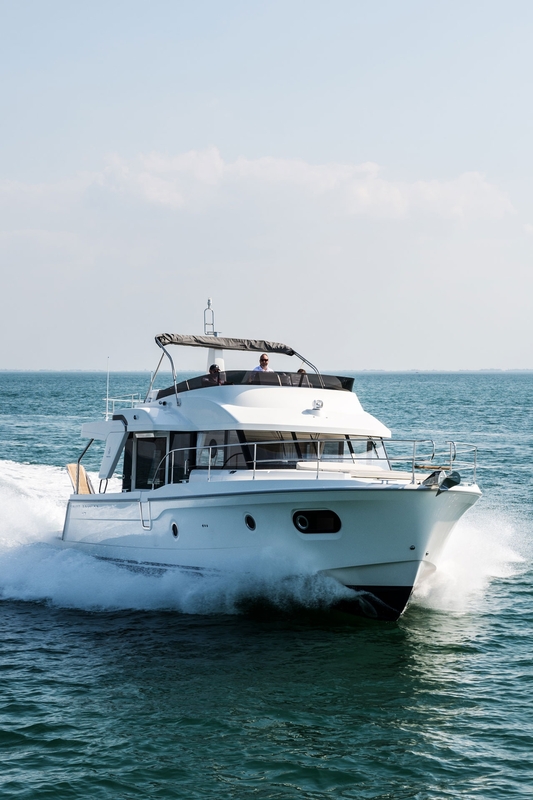 She has won over trawler enthusiasts with her expansive living spaces and her intelligent sense of luxury that make her perfect for quiet getaways or full-blown family celebrations. 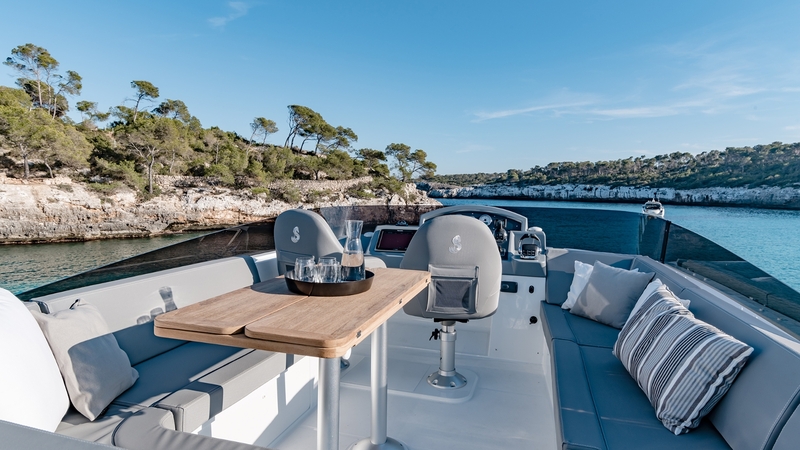 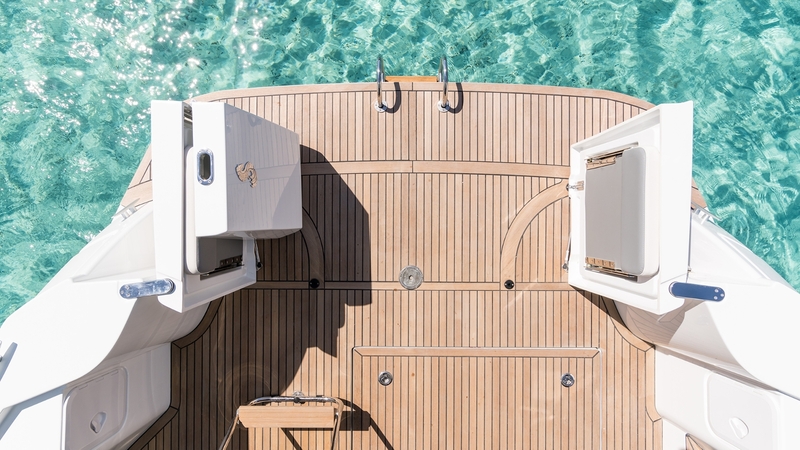 Her hull has been specially designed for dual Volvo IPS engines, providing handling you’d expect from a much smaller boat. 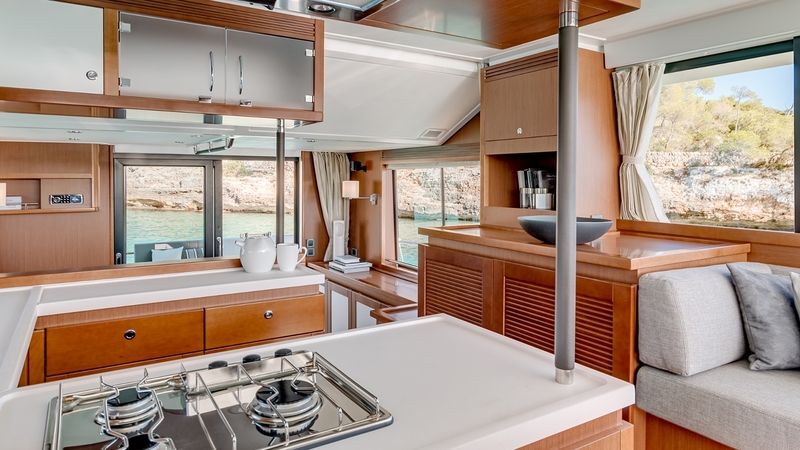 And onboard living reaches new levels of comfort and convenience with a fully furnished, u-shaped galley, washing machine and tumble dryer. 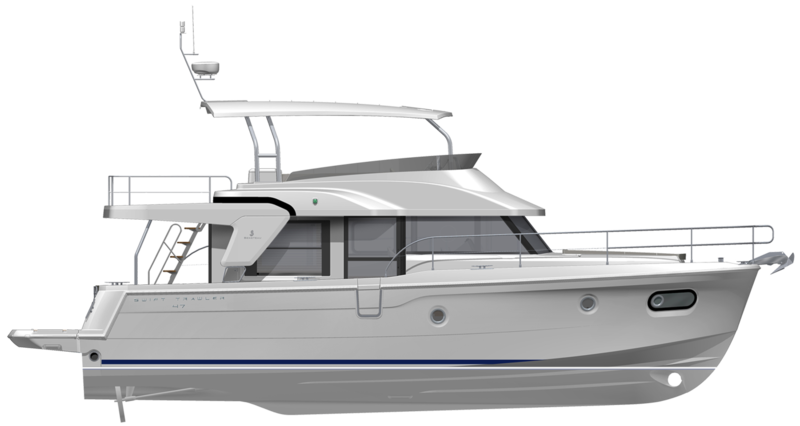 Length overall 14,99 m / 49'2"
Hull length 13,33 m / 43'9"
Hull beam 4,65 m / 15'3"
Air draft Mast Down 5,74 m / 18'10" Mast Up 6,64 m / 21'9"
Draft 1,05 m / 3'5"
For Family and Friends Old and New. 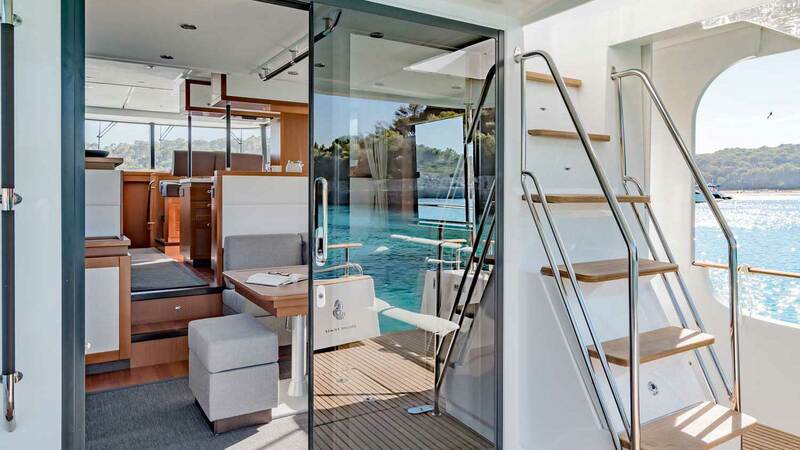 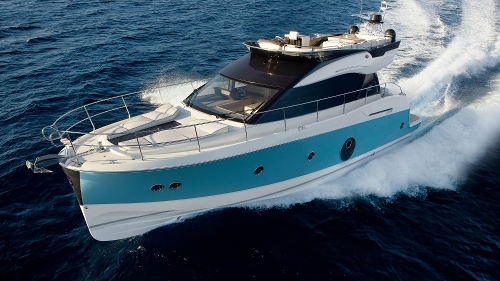 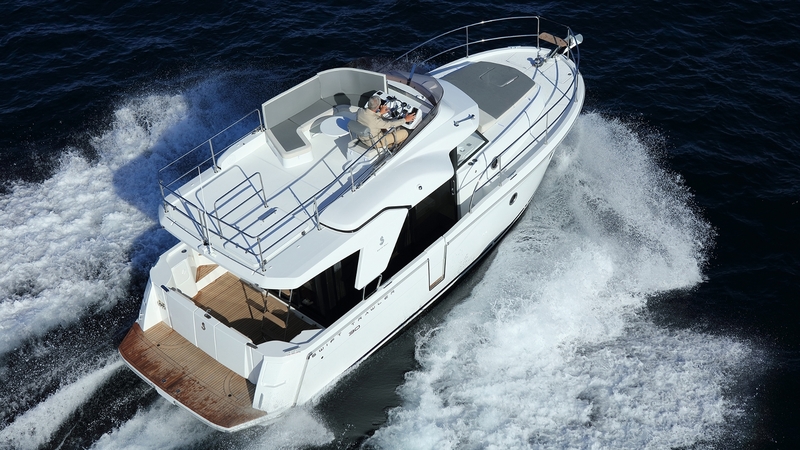 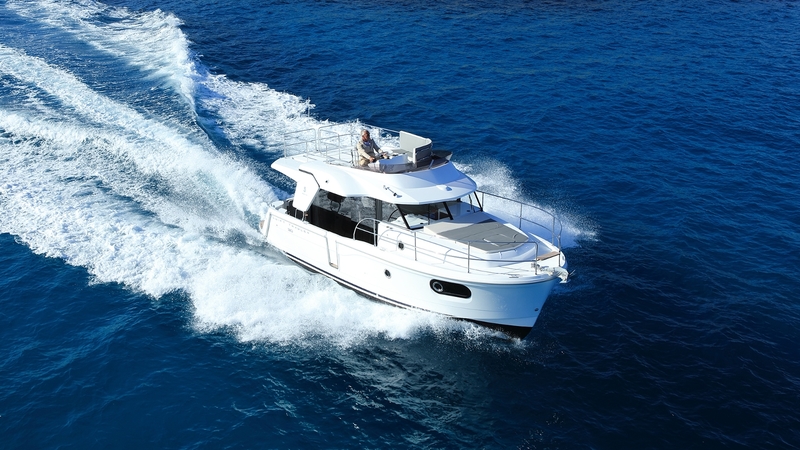 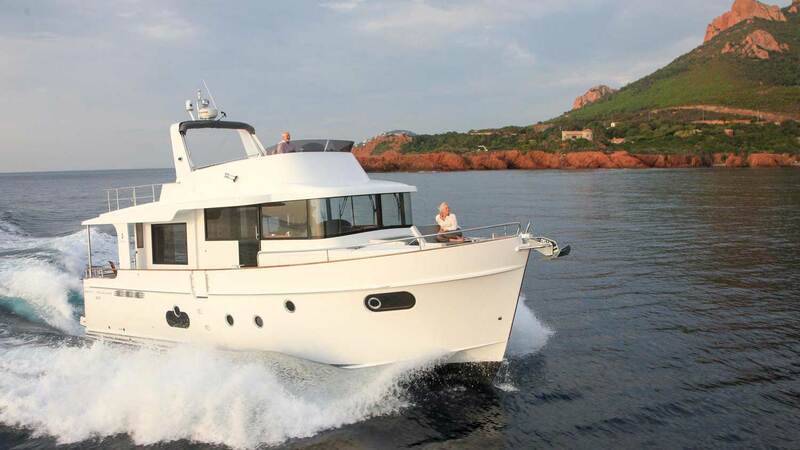 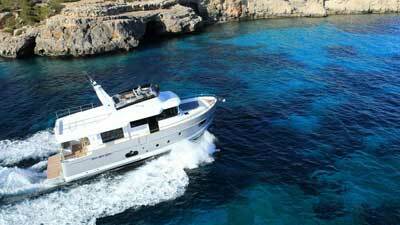 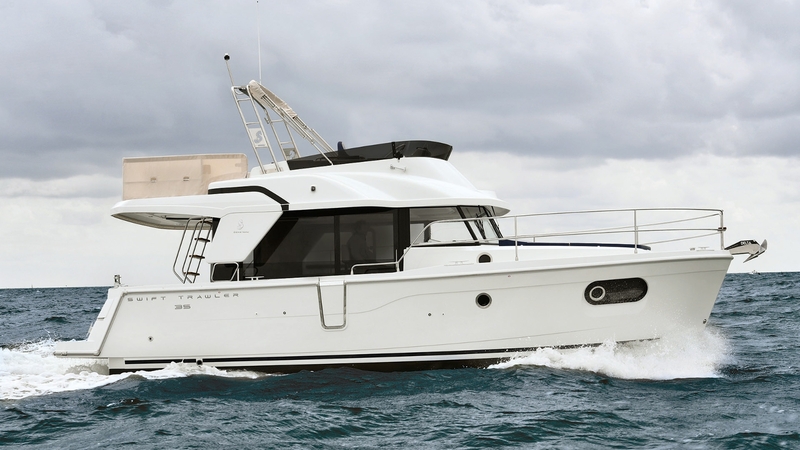 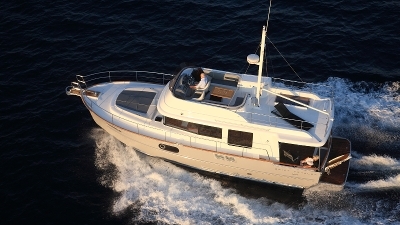 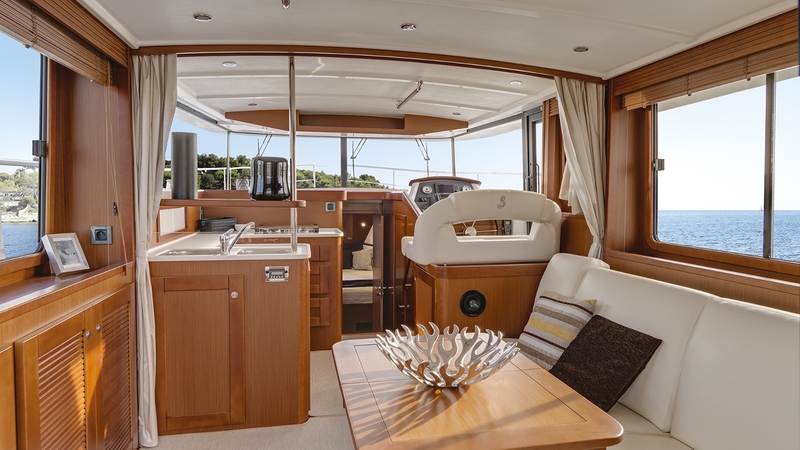 Meet the latest edition of the Beneteau Swift Trawler range, the Swift Trawler 47. 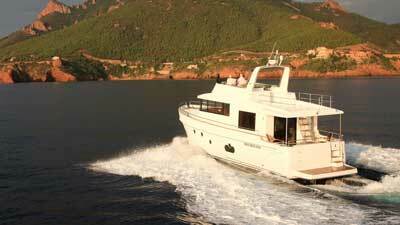 She is certain to provide the inspiration for countless long-distance cruises in the coming years. 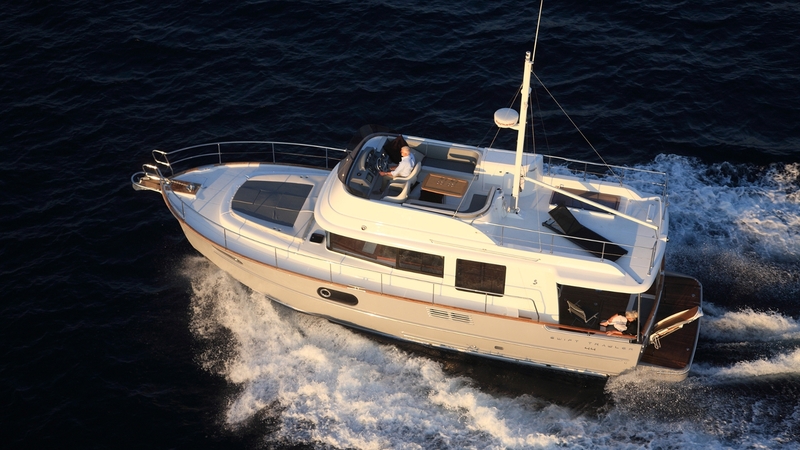 She comes equipped with all the performance, innovations and style of her siblings. 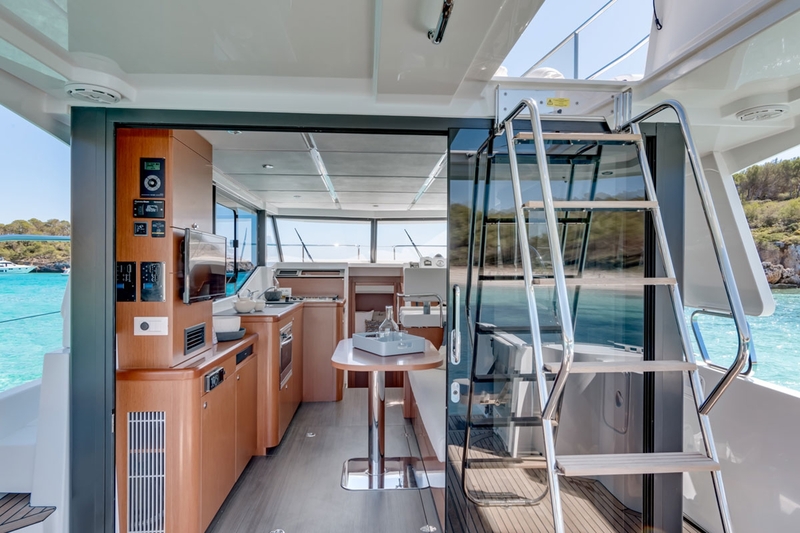 Her open deck plan features wide walkways and plenty of handrails where needed, so everyone onboard will feel safe underway. 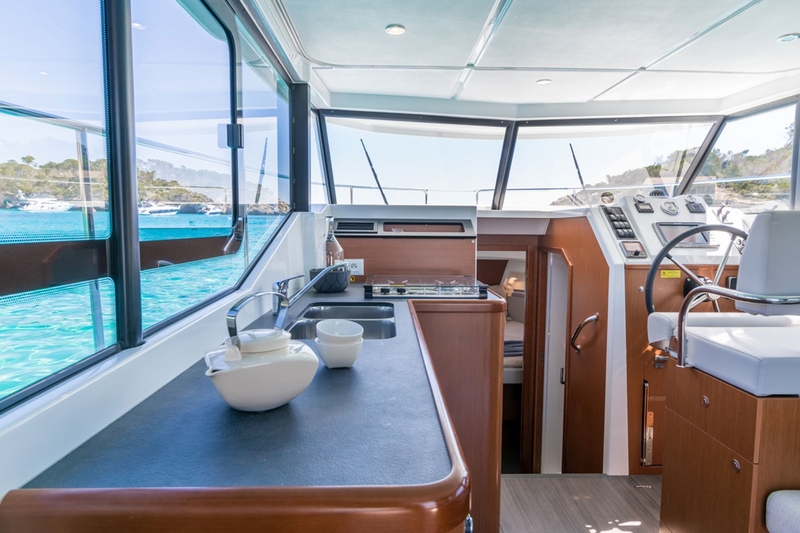 Every space from her salon to the cockpit to flybridge provides ample room – perfect for family vacations and entertaining friends old and new. 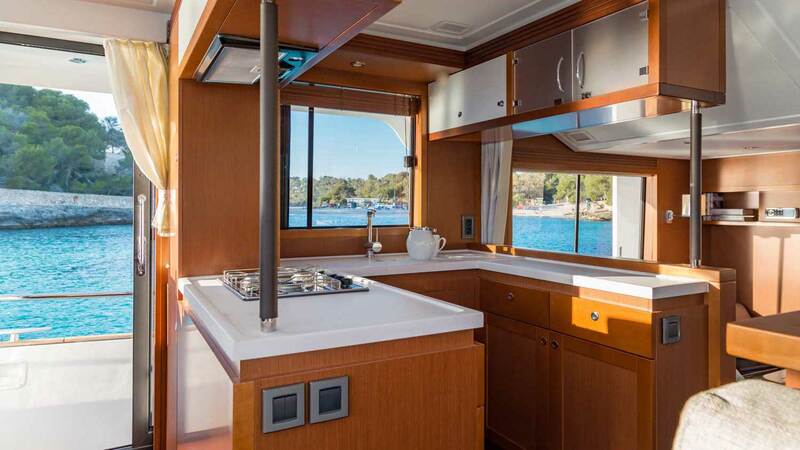 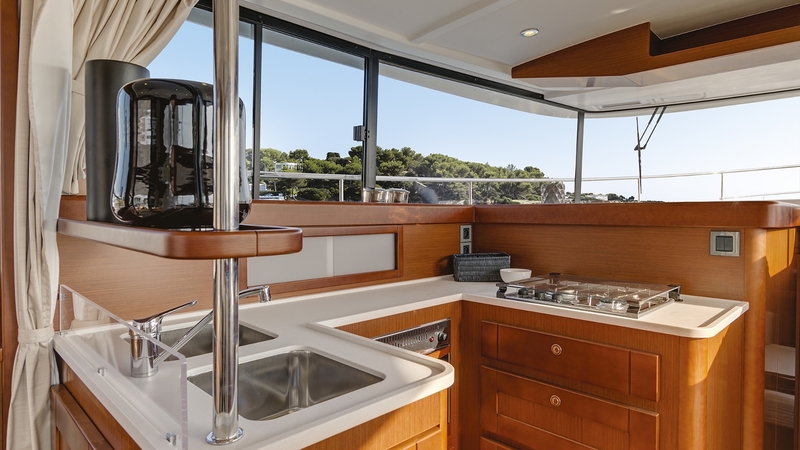 Meal times are a breeze thanks to a well-equipped, L-shaped galley with generous work surfaces. And when it’s time to retire, she can comfortably sleep eight thanks to her three cabins and a convertible sofa bed in the salon. 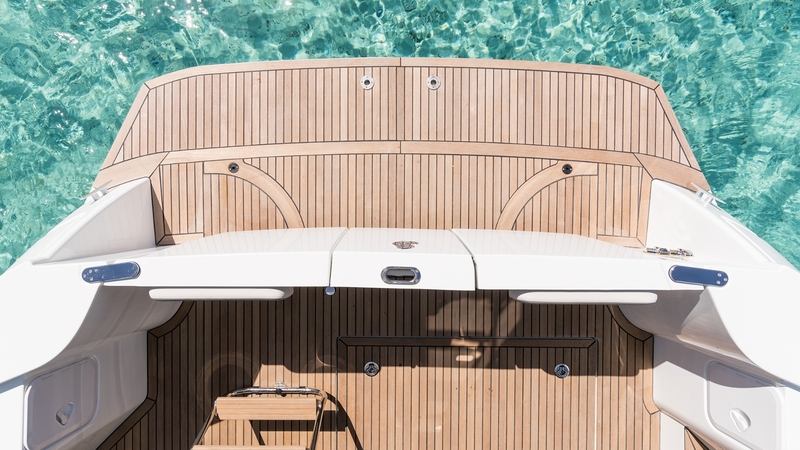 Length overall 14,74 m / 48'4"
Hull length 12,77 m / 41'11"
Hull beam 4,42 m / 14'6"
Air draft 5,79 m / 18'12"
Draft 1,15 m / 3'10"
Room, Performance, and Luxury to Spare. 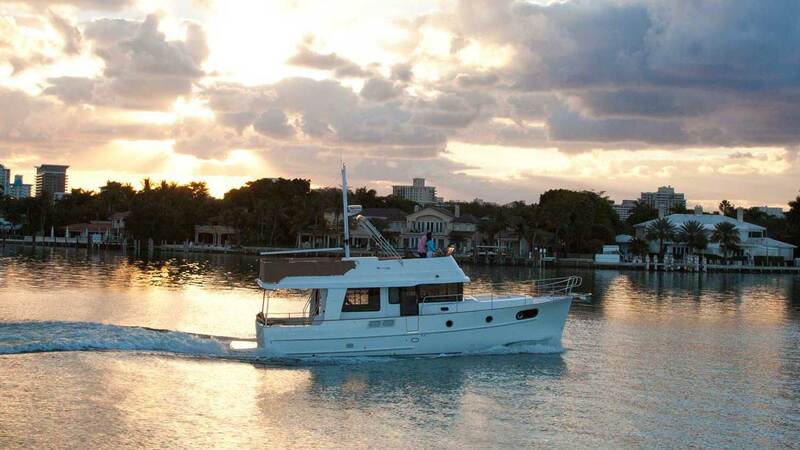 She is our Goldilocks trawler – not too big, not too small, just right. 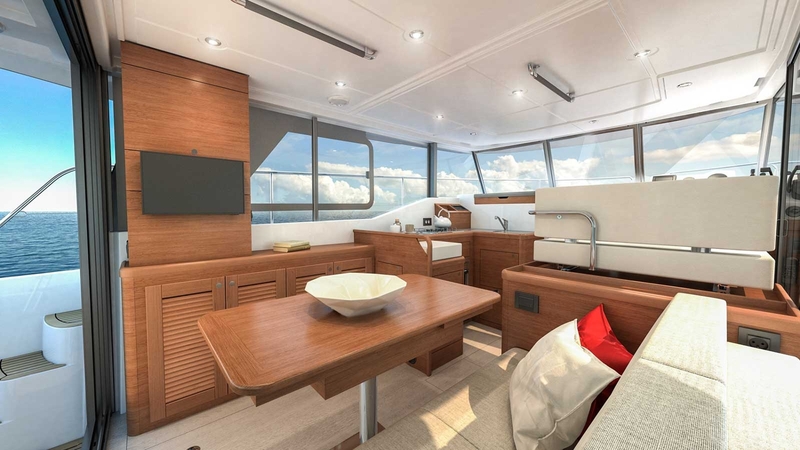 The Swift Trawler 44 occupies the middle of the Swift Trawler range, but make no mistake, there is nothing middling about her. 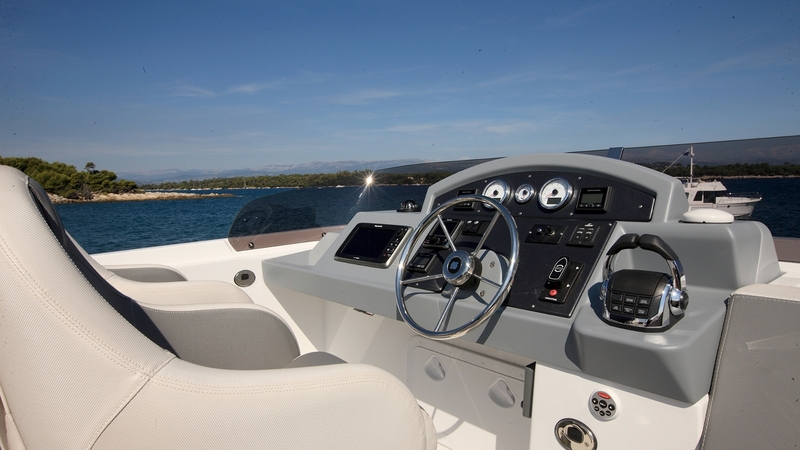 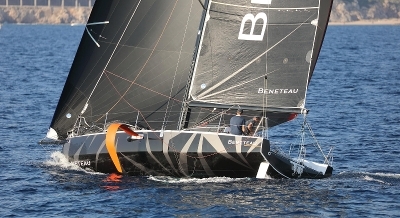 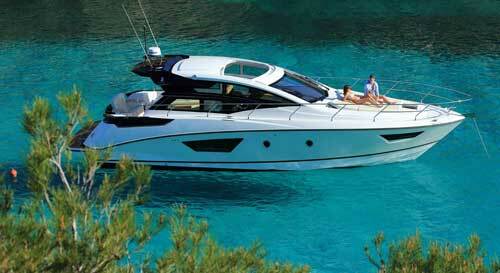 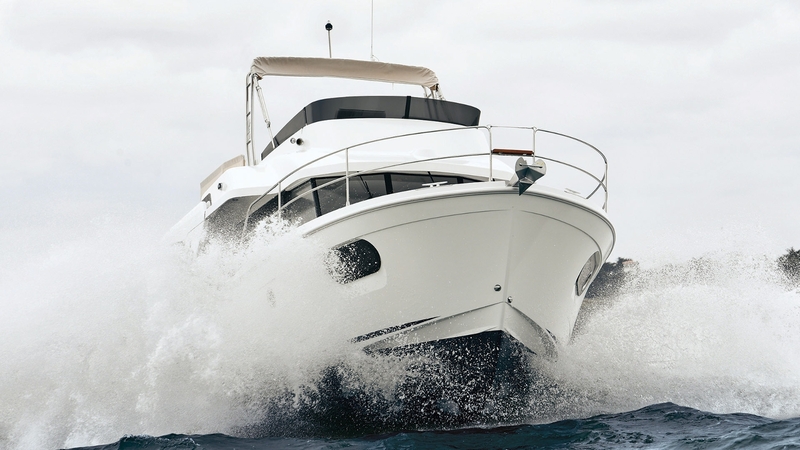 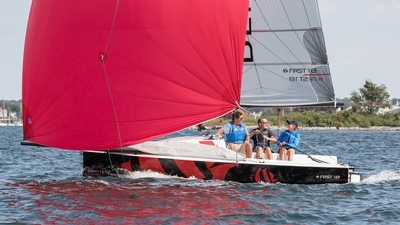 Her semi-displacement hull provides maximum performance at speed even in rough seas. 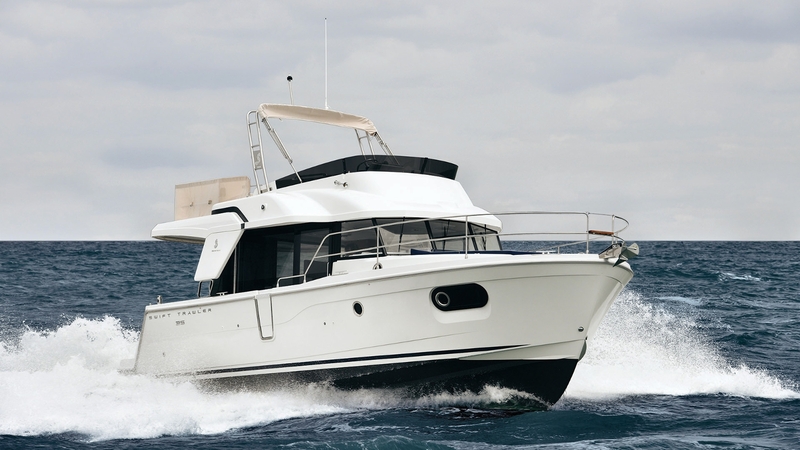 Her twin Volvo engines have the power to reach those speeds and the efficiency not to empty your purse. 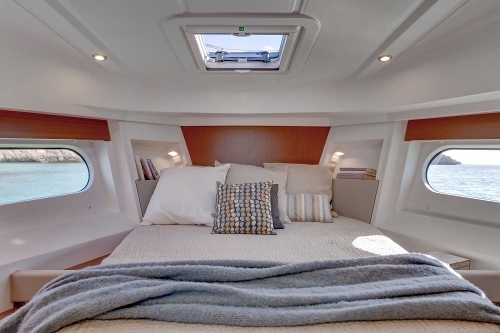 Inside, she is all about space and light with plenty of room and windows. 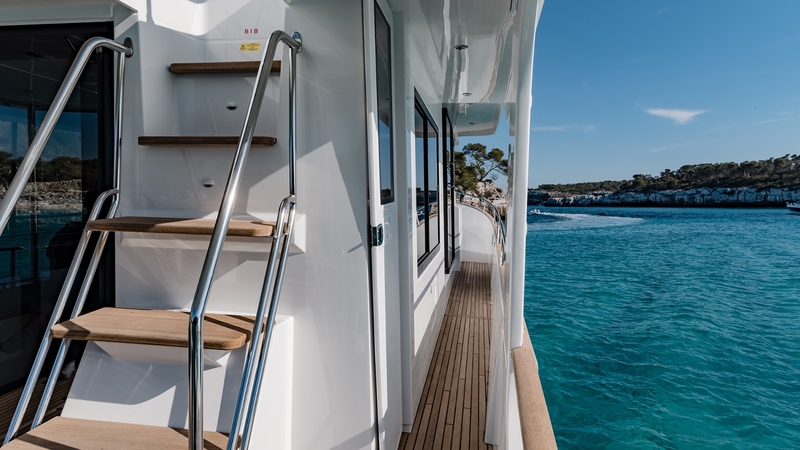 She also features wide walkways and convenient handrails, so all aboard can move about securely. 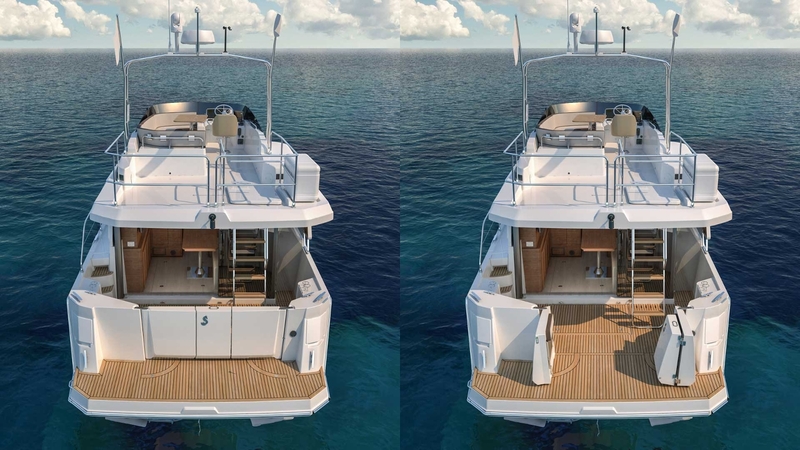 Length overall 13,88 m / 45'6"
Hull length 12,17 m / 39'11"
Hull beam 4,25 m / 13'11"
Air draft Mast Down 3.86 m / 12'8" Mast Up 7.76 m / 25'6"
The Next Evolution in the Trawler Revolution. 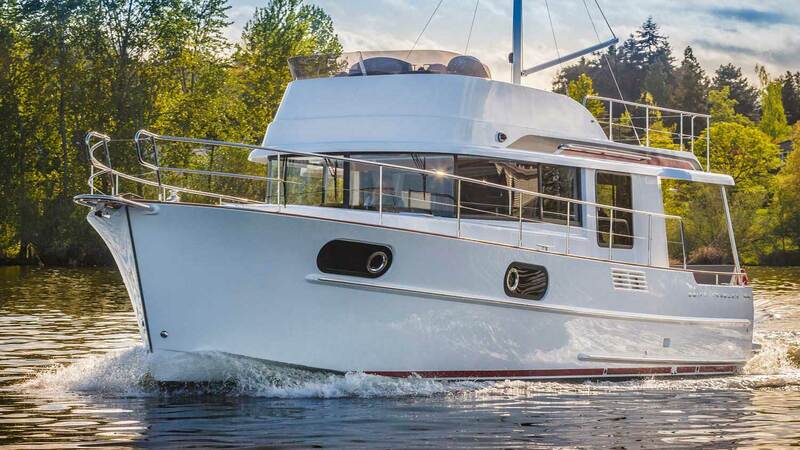 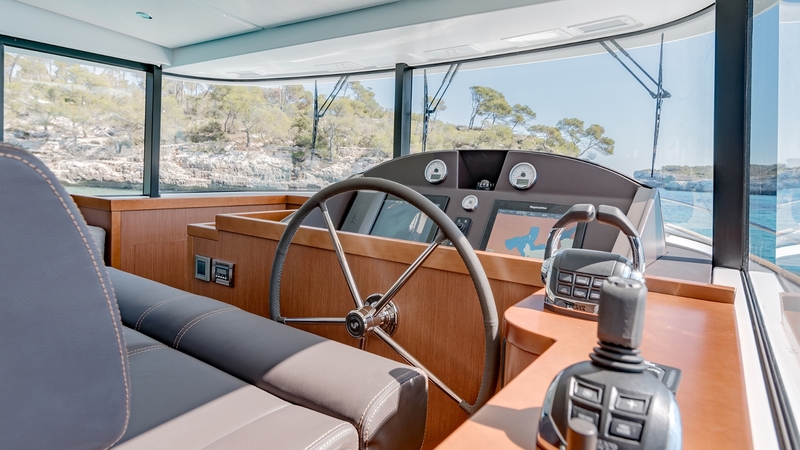 The Swift Trawler 35 is more than a worthy successor to the pioneering Swift Trawler 34 – the boat that conquered North America’s Great Loop while hardly breaking a sweat. 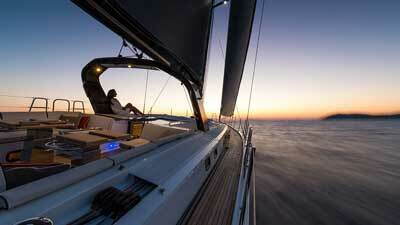 She’s smart but never difficult, balanced but never bland. 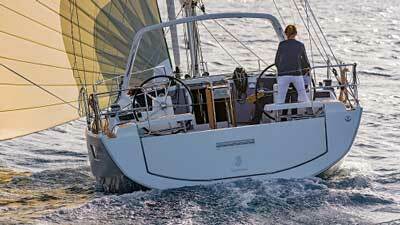 She has the effortless performance, style, and comfort that the competition is simply incapable of. 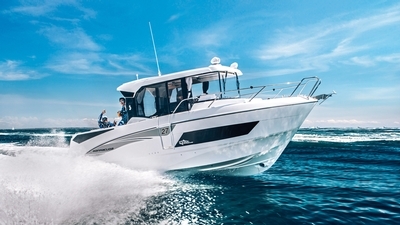 Featuring a semi-planing flared hull, a Cummins 425 HP engine, more innovations and even more room than her predecessor, she truly is the next evolution in the trawler revolution. 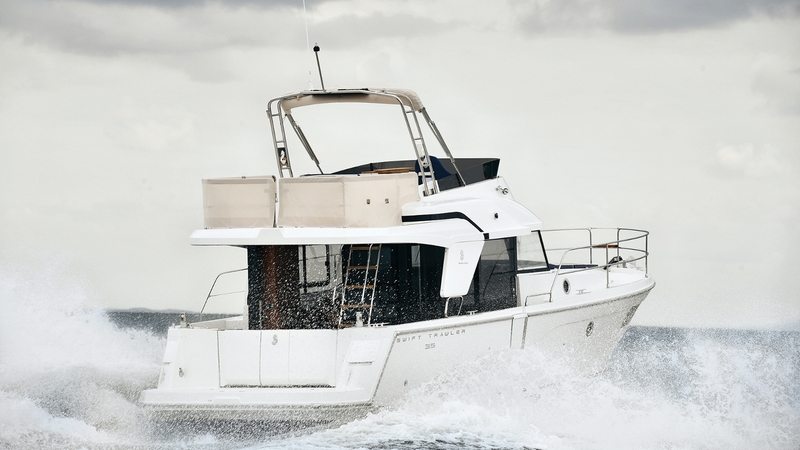 If you want a trawler for the long haul, make the Swift 35 your partner. 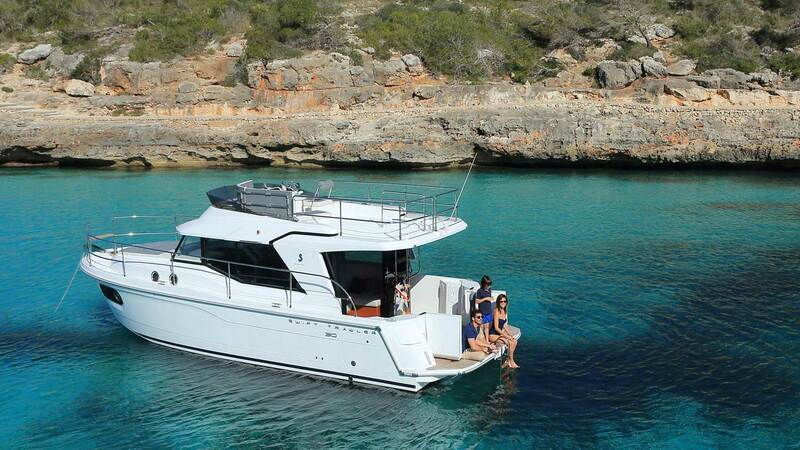 Hull length 10,81 m / 35'6"
Air draft 5,50 m / 18'1"
40' of Attitude aboard a 30' Boat. 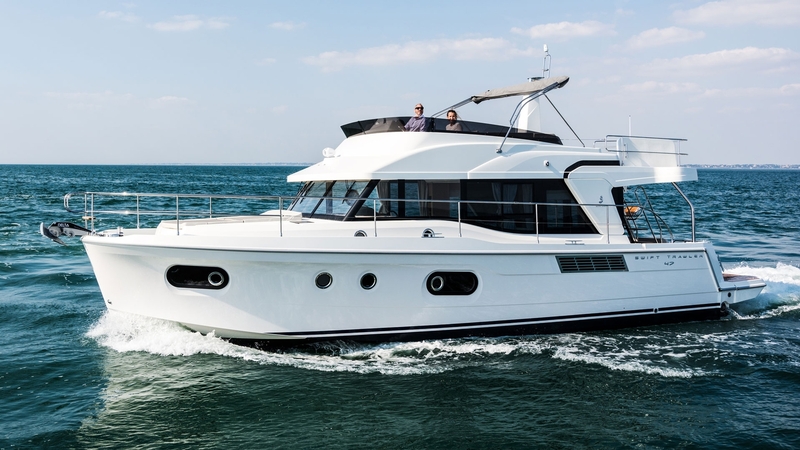 The Swift Trawler 30 may be the smallest of the Swift Trawler range, but she has the performance, luxury, and space you’d expect from a 40-foot boat. 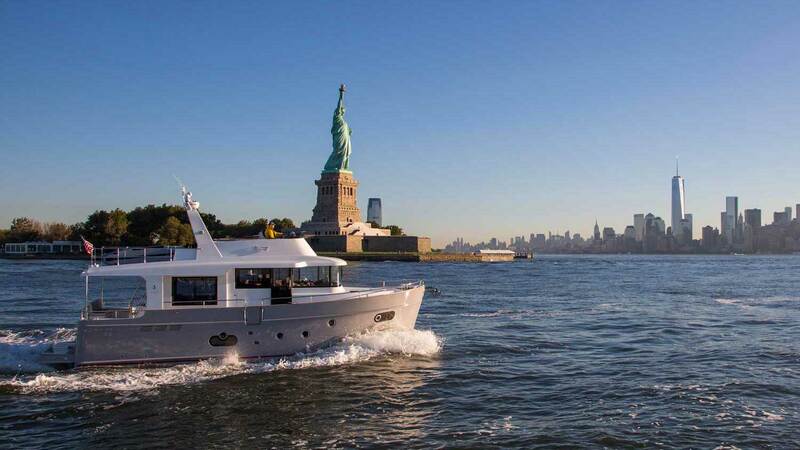 She is the yacht that introduced the world to a whole new direction in Swift Trawler styling and innovation at her unveiling a few years ago. 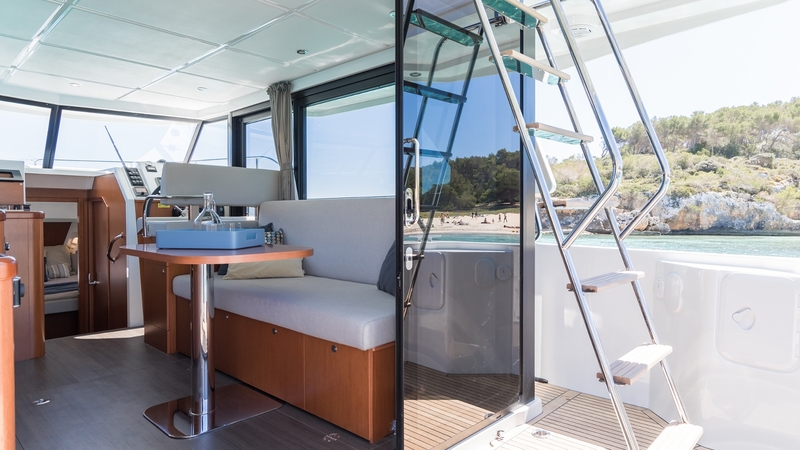 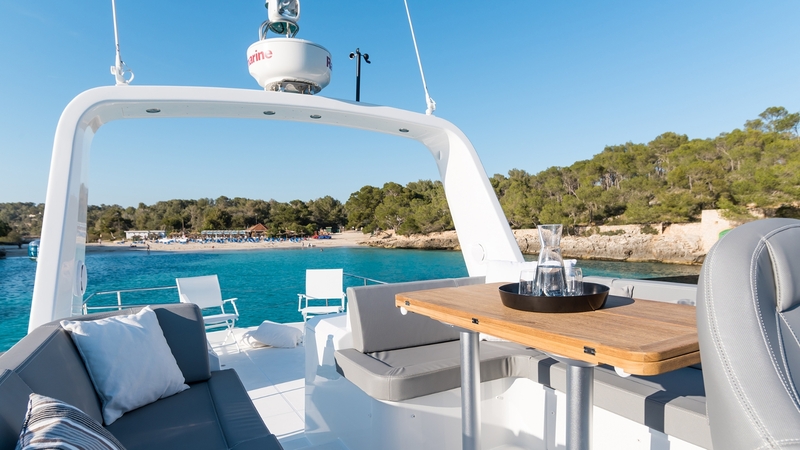 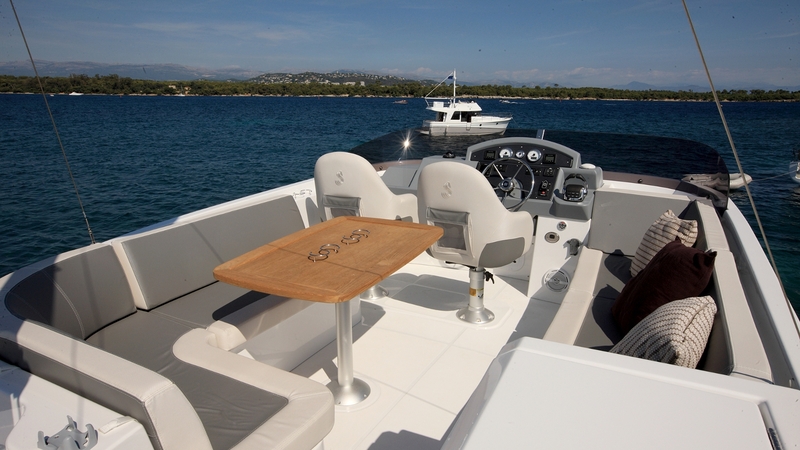 With modular fittings, the 30 can transform her salon and cockpit into whatever you need her to be with seating and tables that can be easily folded and moved away to free up all the space needed for extra family and friends. 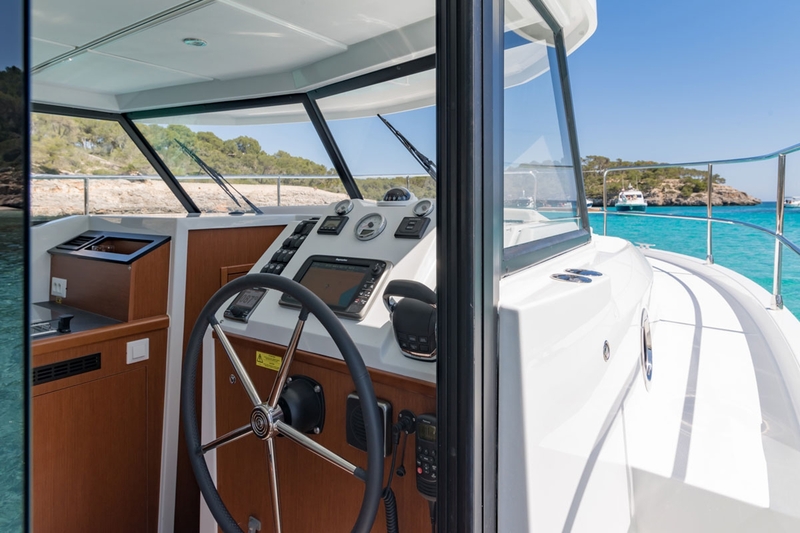 An abundance of handrails, high pulpits and a wide starboard walkway make her one of the safest boats on the water today. 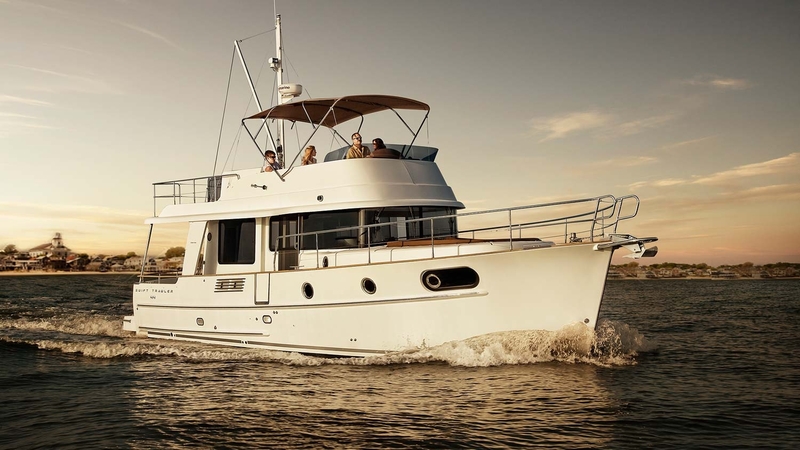 She also provides performance along with the outstanding economy in generous doses thanks to a powerful yet stingy Volvo D6 engine. 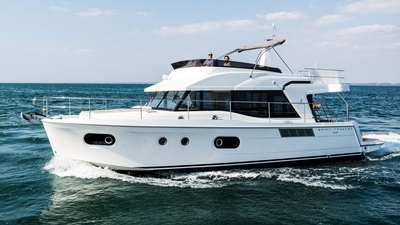 Length overall 9,99m / 32'9"
Hull length 9,58m / 31'5" - with platform (optional) 10,39 m / 34'1"
Hull beam 3,53m / 11'7"
Air draft 5,15 m / 16'11"
Please mail me a brochure for the Swift Trawler range.